We are proud to announce our re-designated nomenclature for the new Lister LFT-666, and our first Lister Tuning division specification options. We revealed our 666 bhp prototype based on the Jaguar F-Type earlier this year and subsequently took a record number of advanced orders. Since then, we have been busy refining and developing the F-Type even further, making the 666 bhp model the fastest, most powerful and luxurious Lister ever built in our legendary Cambridgeshire marque’s 65-year history. Today, Wednesday 1st August 2018, we are excited to announce important updates to the original prototype launch car. Production models will be designated the Lister LFT-666 and will feature exclusive all-new Lister designed carbon fibre body panels, helping to create a lighter and more aerodynamic vehicle. Exclusive Lister replacement parts include front bumper, front splitter, rear diffuser, rear lip spoiler, rear extended wheel arches a new grille design and new lightweight alloy wheels fitted with Michelin tyres. By replacing many of the GRP parts of the standard F-Type, we have has created a lighter and stronger car that offers improved aerodynamics on both road and track with the end result being a much faster car than the standard model. We have also re-worked the suspension and some interior parts, including the steering wheel and seat design. 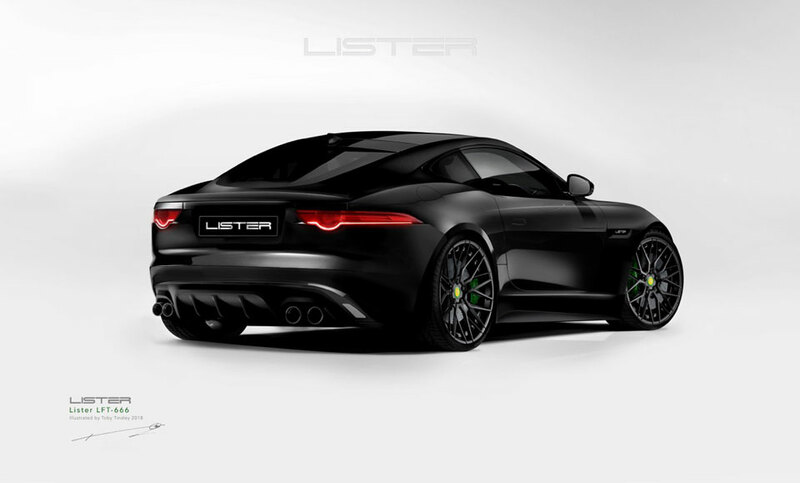 The first 666 bhp Lister LFT-666 order will be ready for customer delivery on 1st October 2018. In addition to the 99 examples of the supercharged 5.0-litre V8, we will also offer wheel and body enhancements for standard Jaguar F-Type models worldwide, with kits starting from just £9,750 for the Lister badge, bumper and wheel upgrade. 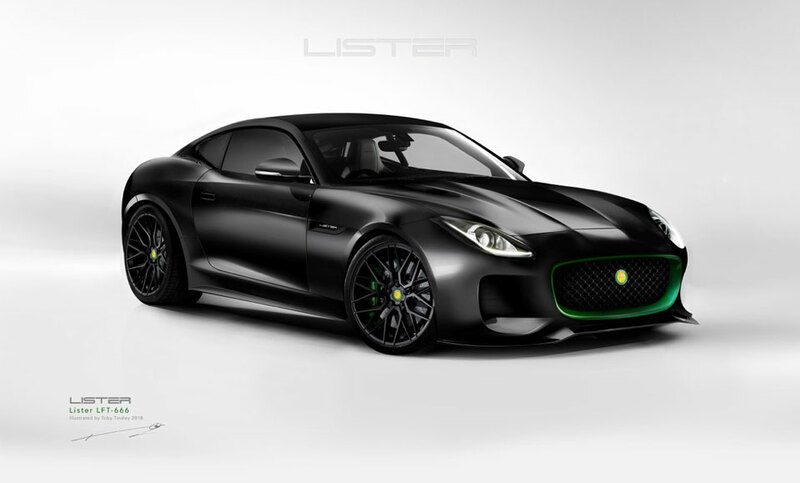 Non-tuned cars with the Lister body enhancements will be known as simply the Lister LFT, with no BHP denotation. An official announcement on the new 25,000 sq. ft. Lister Head Office and Lister LFP will follow in due course.